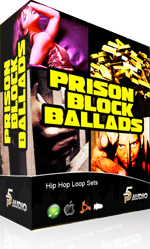 15 Construction Loop Sets with 210 individual music loops! Inspired by East Coast Hip Hop Artists and Producers such as Cassidy, Akon, Mob Deep and more! All parts are separated including multi-track custom designed drums and percussion, bass, live guitar, synth, live cut and sampled instruments and more!